Failover is the ability to continue to provide access to your website or application in the event of a server failing. It is an important part of high availability hosting, which aims to minimise downtime across your server infrastructure. The cluster we configured in the last blog. Another new Ubuntu host with an SSH node configured. As before, our first step is to create an SSH node on our new host. For more details on what an SSH node is, and why we will be using one here, read the node overview blog. 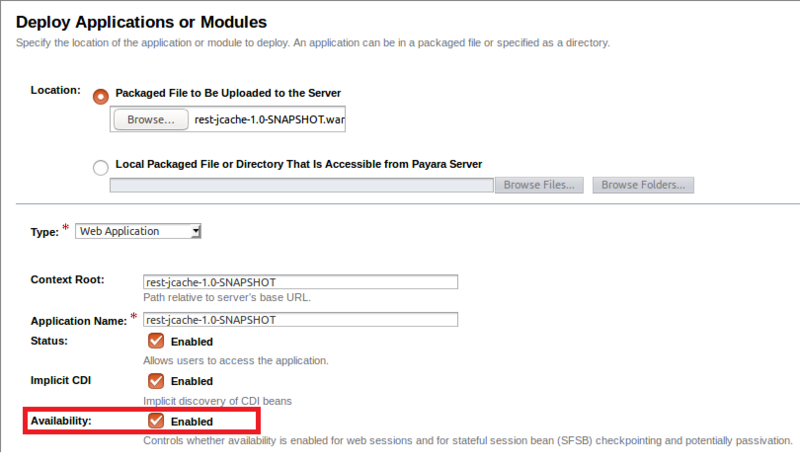 For details on how to set up an SSH node on our new host, refer back to our earlier blog on setting up a simple cluster with Payara Server. As you can see, we have added a third SSH node aptly named "computer3". As this node will be part of our existing cluster, we will again link it to our cluster configuration we created in the previous blog. This is another advantage of using the centralised configuration from before; new nodes will automatically follow the same configuration as those already in the cluster, minimising the set up we need to do for our new instances. As the cluster configuration has Hazelcast enabled, the minute we start this instance it should join our cluster. Before we start the instance, we will deploy our test application and add some session data. We shall again be using our rest-jcache example application which we built in the previous blog. This application is a simple REST service which uses the distributed cache to store submitted data. By submitting data with a key, we can retrieve the same data from another member of the cluster, provided we again submit the same key. Add a new value for the key "Payara"
Retrieve this value from the second instance using the key "Payara"
curl -H "Accept: application/json" -H "Content-Type: application/json" -X PUT -d "badassfish" "http://<Local Host>:<Local Instance Port>/<Application Path>?key=payara"
curl "<Second Host>:<Second Host Port>/<Application Port>?key=payara"
Hopefully you also got the (expected) result of "badassfish". If you didn't, double check that you have the IP's set up correctly, enabled Hazelcast, and haven't started the failover tests early! Now that we have confirmed that our initial cluster is functioning as expected, we can move on to our failover tests. Recovering from the "unexpected shutdown"
Thankfully, as you can see, our data was safely cached and so it was able to failover, preserving the cached data within the cluster, as it returned our original value. 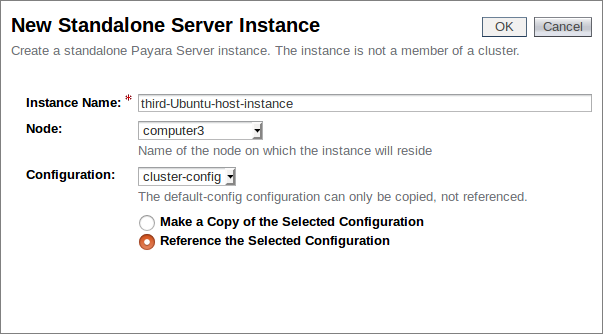 This is a simple example of Hazelcast's caching within Payara Server, but it demonstrates both the principle of failover and the benefits of high availability hosting, as we were able to dynamically add new instances to our cluster without any faff, and have them sort out their caching between themselves with no user input. In a production environment, this can serve to preserve cached data across sites, and allow your users to continue to access applications in the event of unexpected downtime, as well as allowing you to dynamically scale your infrastructure. As usual, if you have any comments, questions, or suggestions, feel free to post below!